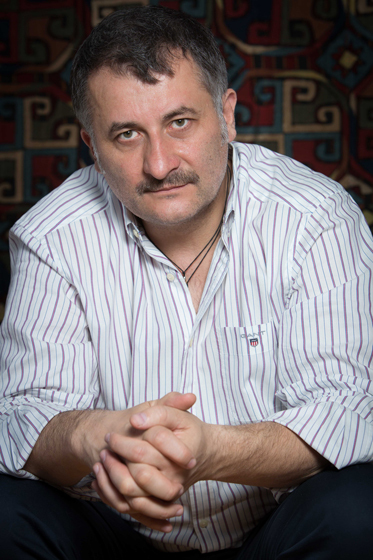 Cristi Puiu was born on April 3, 1967 in Bucharest, Romania. He is a writer and director, known for such highly reputable films as The Death of Mr. Lazarescu (2005), Aurora (2010) or Stuff and Dough (2001). He studied arts and painting at the National School of Visual Arts of Geneva from 1992 to 1996, but very soon in his studies, he chose to focus on film..
During this period, he directed his first short-feature film entitled Before Breakfast which won an award at the Locarno Film Festival in 1995, and without giving up painting, Cristi Puiu focused on cinema and is now scriptwriter, director and producer with his company MANDRAGORA. Sieranevada is his 4th feature-film and the third of his series, “Six Stories from Bucharest Suburbs” initiated with The Death of Mr. Lazarescu. ALEXANDRU PAPADOPOL is a very popular actor in Romanian TV series, he has a long list of screen credits to his name. ANA CIONTEA is a well known theatre and film actress.